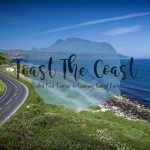 Luxury 5 Star accessible bed and breakfast (B&B) and self-catering apartment with sea views on the Antrim Coast Road, Glenarm on the Causeway Coastal Route and gateway to the Glens of Antrim. Conveniently located for visiting Belfast or as a base to tour the Glens of Antrim and Giants Causeway, Water's Edge B&B is 20 minutes from the seaport of Larne, and less than one hour from the George Best (Belfast) and International Airports and just over two and a half hours from Dublin Airport. The Giants Causeway is approximately an hour, although with the magnificent Glens and other visitor attractions in between means you will take longer. We recommend at least a two night stay before you journey further afield -we are the perfect place to stay and explore the Glens of Antrim and Causeway Coast. Water’s Edge B&B ​​is conveniently located for touring the Glens of Antrim (famous for their myths, legends and music) and visiting the ​Giants Causeway, Carrick-a Rede and The Gobbins Cliff Path. 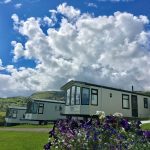 Midway between Belfast and The Giants Causeway, Glenarm is the ideal location to base your holiday and explore this beautiful part of Ireland. After a fantastic breakfast of homemade and locally sourced produce, including world renowned Glenarm Organic Smoked Salmon, why not take time out to enjoy our beautiful village, with its historic castle (family home of the Earl of Antrim), forest and nature walks and busy marina. For Game of Thrones fans, Glenarm is host to Steensons Jewellers who made many of the signature pieces for the hit TV show and where you can see the artists at work. Why not stay at Water’s Edge and visit the film locations for many of the key scenes shot along our spectacular coast line www.discovernorthernireland.com/gameofthrones. Whatever the reason for your visit you can be assured of a warm Irish welcome at our bed and breakfast in Glenarm. 3 ensuite bedrooms each with a spectacular sea view (including an accessible ground floor bedroom with level access). Underfloor heating, tea and coffee making in room, food platters and picnic lunches by arrangement. Well behaved dogs at owner’s discretion.